O’Hagan Meyer is pleased to announce that Wood Lay and Jacqueline Ferrell have joined the Firm to lead its North Carolina expansion. Together they bring more than 45 years of experience advising clients and litigating labor and employment issues throughout the country. Most recently both Woody and Jacqueline were with Winston & Strawn, where Woody led the Charlotte Labor and Employment group. Firm founders Kevin O’Hagan and Charlie Meyer report that the Firm looks forward to serving clients in North Carolina with these distinguished lawyers leading the effort and serving their national and regional clients. Client response to the office opening has exceeded expectations, and the Firm looks forward to adding several new employment lawyers to the team in the coming days. Wood Lay will be the Managing Partner of the office. 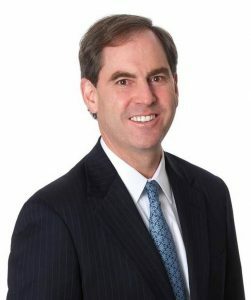 He has practiced in Charlotte since 1998, with Hunton & Williams (now Hunton Andrews Kurth) and Winston & Strawn, representing some of the largest employers in the country in their labor and employment matters. Mr. Lay obtained his undergraduate degree from the University of Virginia and his J.D. from Washington and Lee University School of Law, where he was Editor in Chief of the Law Review. He is recognized in both Chambers USA and The Best Lawyers in America. 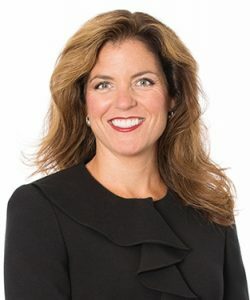 Jacqueline Ferrell will bring her experience in both private practice and as in-house counsel at Duke Energy to assist employers in addressing the wide variety of legal risks they face in the workplace. Ms. Ferrell has practiced in Charlotte since receiving her J.D. from the University of Virginia in 2000, where she was a member of the Law Review. Ms. Ferrell obtained her undergraduate degree from Duke University. O’Hagan Meyer is a national Labor and Employment and Litigation Firm with approximately 100 attorneys in offices located in Alexandria, Boston, Charlotte, Chicago, Detroit, Los Angeles, Orange County, CA, Philadelphia, Richmond, Washington D.C. and Wilmington, DE.